Visit Teddy and the Yeti on Tumblr! I've been doing some spring cleaning with the website recently - removing broken links and trying to streamline things a bit. One of the things on this page that I've never been quite happy with is the "webcomics" link at the top of the page, which gets a lot of hits but isn't very user friendly. One of the problems as I saw it is that old entries get lost at the very bottom of the page and the dimensions of some of the pages weren't always big enough to easily read the comics, especially on a desktop. I decided that it would be best to just scrap the entire page and load all of the comics that I feel like sharing onto a new, external page, and so teddyandtheyeti.tumblr.com is born! There's still some work that I need to do on the page, with placement and other functional issues, but I'm happy enough with it at least to share the link and make it public. I'll be looking to do other things with it in the coming weeks, including following some other dang accounts and trying to drive a little bit of traffic to the page. 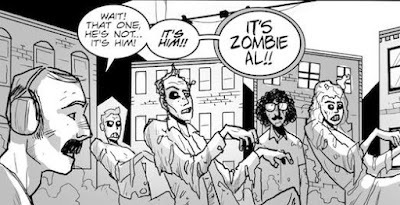 One thing that I enjoy is the archive section, which serves as a way to compile all of the webcomics in a way that's easier to navigate that what was previously available. There's also an "ask me anything" tab which I'm sure won't fill my inbox with spam any time soon. 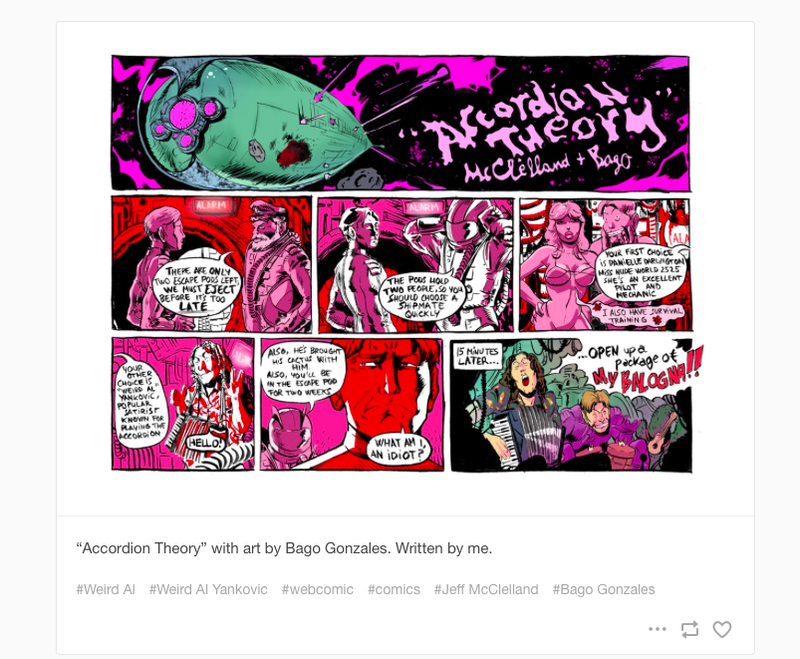 So if you're looking for the comics I've poster, the "webcomics" link at the top of the page now redirects you to Tumblr. 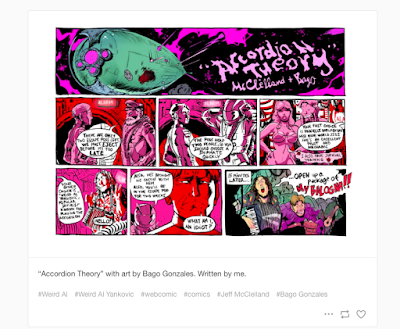 I'm sure we've all been looking for a convenient site at which to view the Franks and Beans comic and that "Accordion Theory" strip, and now you have one.